Martha Loses Hope As She Looks For The Messiah…and A Miracle. “Oh God Who Sees, take me also. If not together in life, let me join him in death. I don’t want to live without him.” She looked up at the night sky. Had the God Who Sees kept her from making a mistake? Would it have worked out the way she dreamed? 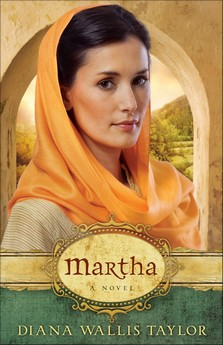 Author Diana Wallis Taylor creates a beautiful story set in the New Testament following the life of Martha of Bethany, sister of Mary and Lazarus in Martha (ISBN: 978-0-8007-3465-7, $14.99, 256 pages, June). The busyness of Martha is well-known, identified with, studied, and often misunderstood by people today. Often painted in the colors of reproach, Martha seems to be the poster child for how not to be a follower of Jesus. Taylor provides a well-researched touching portrayal of Martha. When her mother dies leaving young Martha in charge of the household, her family is dependant upon her to oversee the home. Yet like other girls in her village, Martha longs to be married and begin her own family. Considered a fine cook and weaver, Martha is quick to help others within her community. She experiences the hope of love and love lost, trials, friendship, the death of her father, the overwhelming duty to her family, the discovery of the Messiah, the miracles witnessed at the Temple, and the hospitality she shows to her Lord with dignity and grace. However, when Lazarus becomes ill and Jesus is too late – Martha questions both her faith and the Lord. How could she know that one of the Lord’s greatest miracles was only moments away? Through the life of Martha, Taylor shows readers a new perspective and appreciation for this special woman of the New Testament. Being a fan of Biblical fiction, I truly enjoyed this book. It is a great story. Diana Wallis Taylor did a wonderful job of bringing Martha to life. I think Martha is always used as a "what-not-to-do" example, and I'm so thrilled with the way the author told her story. She created a reason why Martha was so worried about getting things done. It's so easy for us to excuse behavior today because we understand the "why" behind that behavior. Sadly... Martha doesn't get that same understanding. Until now. It's nice to think of Bible characters as what they are. Human. This book will bring to life some of the most talked about people in the Bible... Martha, Mary, and Lazarus. To get an idea of what they were thinking and feeling as they walked with Jesus, and as Lazarus was raised from the dead made me see their story in a whole new light. It is very much in keeping with scripture, yet adds enough fiction to make a wonderful book that you'll be sure to enjoy. *Revell Books and Baker Publishing Group have provided me with a complimentary copy of this book for my honest review. ~ Thank you! Diana Wallis Taylor enjoys speaking to women’s groups and teaching writing and poetry workshops. 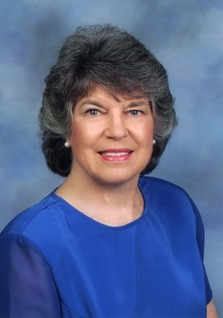 She is the author of Journey to the Well, has published many articles, and contributed stories to several books. Taylor lives in California. Find out more at www.dianawallistaylor.com. Thanks Mary Ann, for posting your review of this book by Diana. I just discovered our church library had two of her books and was looking for some additional info on them and Diana, since she lives in Southern California, as I do. I'd like to hear her speak at a local church or event; she sounds like an interesting person! Hi Joanne! It was my pleasure! I love sharing great books with others... I enjoy them so much myself. I really enjoyed Martha and I also have her book Journey To The Well. I'm excited to read it! I would like to hear more of Diana as well.